I can give you a list of things that my family can argue about, but there is certainly one thing that they have long reached a consensus on: their precious little girl cannot have such a dangerous career as archaeologist. I remember what turmoil my first announcement of wanting to become an archaeologist caused in my family; however, as naive as I was, I didn’t at all realize what that turmoil meant. I was five years old then. Now I’ve reached the age of 16. Neither my dream nor my family’s attitude has changed. I can sense my parents’ unwillingness to let their daughter take risks. As for the rest of my family, their opinions can’t be more apparent. My auntie keeps telling me the appalling story of how an archaeologist was killed at an excavation site by some local mobs, though I don’t think she herself believes it. According to my father, my grandma’s last word before she passed was “you cannot allow Yasi do that digging work.” At first, I thought the problem was archaeology, for lots of Chinese people hold strong prejudices towards this discipline. Whereas I eventually realized that this is not the point. The disparity between me and my family and I does not just exist here— it lies in almost every aspect of my life. To recognize the disparity thoroughly, I had to scrutinize every single detail of my past and go straight back to my childhood, to that day I found out about its existence for the first time. Then stopped rewinding, and replayed the video of my life from that moment on, but at a slower pace. That’s how I found out what makes me different from my family: we hold completely different values. I am an idealist; my family members are all rationalists. I long for faraway lands and the distant past; my family members care about how well they are in their lives. I dream of a world in which everyone treats each other sincerely, with respect and equality; my family tells me that I have to accept the world I live in. “Why care about the hieroglyphs in Egypt 3,000 years ago, when you could lead a wealthy and happy life as a doctor?” said they. As a five-year-old, I interpreted nothing from their uneasiness. As an almost-adult, I’ve found out what lies behind their anxiety: they want me to settle. It wasn’t long before I realized that the idea of settling down and leading an ordinary life is quite common in China, especially among our parents’ and grandparents’ generations. In their minds, the basis of a satisfying life is a steady job, which means risky and low-profit occupations, such as singers and scholars, are not acceptable. That’s why they provide their children with the capability to dream big, and then kill their dreams when they are still little kids. But the elders used to be the juveniles, didn’t they? Their dreams were murdered long ago; in turn, they pass down the tradition to stop their kids from pursuing those fantastic dreams. Just like my father, who was forced to quit the army. He is a successful engineer now, yet our country could have had a brilliant soldier. My father gave in to his parents, resulting in the death of his ideals. Millions, perhaps billions, of adults have given in, resulting in a society of the settled and dreamless. Growing up in such a family and society, I seem to have developed a strange personality: I’ve grown into an individual that is both rational and sensitive. I never give up my ideals, yet I know exactly how hard they are to be realized. I’ve built up several idealistic worlds in my imagination— they are so detailed that they seem to be real— while I know clearly they can never exist in reality. These two sides of me are so contradictory that they sometimes almost tear me apart. But I have to keep both of them inside me. I have no choice but to keep both the rationalist and the idealist inside my heart. This is the best way I can figure out to keep a balance between my family and my true self. Now my idealistic side takes hold of me, shouting out that one day the elder generations will be more open to risks. And my rationalistic side tells me: be patient, wait until that change takes place; until that day comes, just preserve your ideals and dreams from going sour. 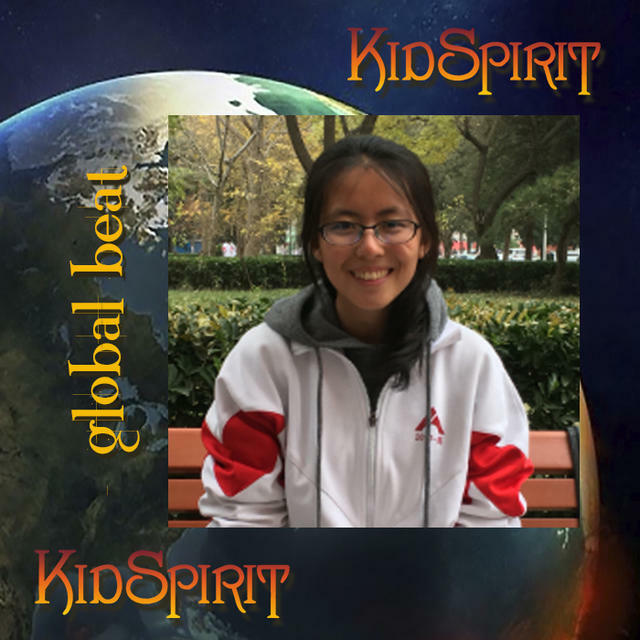 Yasi Zhu is a 16-year-old from Beijing, China. Her interests include reading, traveling, collecting coins, musicals, languages, running, horse riding, history, archeology, jigsaw puzzles, and daydreaming.